The sequel to the cult-favorite 'You Are A Box'! 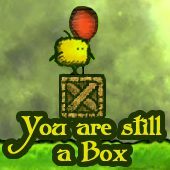 'You Are Still A Box' takes puzzly-boxy action to the next level. Save those Nabbles from guaranteed demise! Guide them to the exit door, and collect as many cakes as possible!